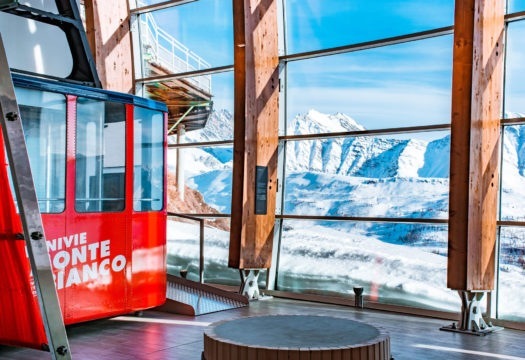 Skyway Monte Bianco is not just a ski lift: it is an innovative technological project of Italian engineering that offers an experience for all the senses. 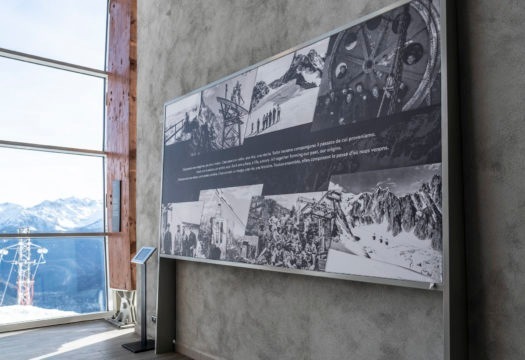 The new Hangar 2173 exhibition facility – at the intermediation station of the Pavilion-The Mountain at 2173 meters above sea level – offers an evocative journey back in time: from the opening of Skyway Monte Bianco in 2015 back to 1941, the year of the first construction that installed the first cable on Monte Bianco. 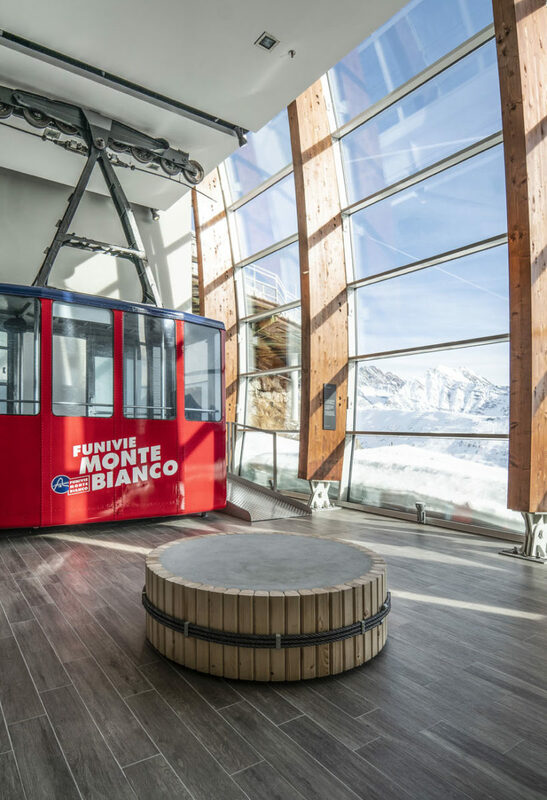 On the ground floor, with its focus on the contemporary cableway, an interesting video narrates the construction, the creativity and efforts of those who have produced this avant-garde technological project. 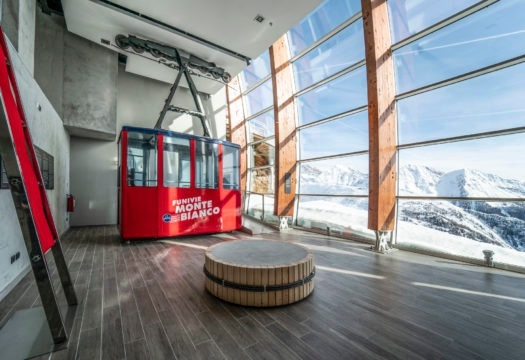 An area on three personalities – the actress Matilda Gioli, the mountaineer Hervé Barmasse and the astronaut Samantha Cristoforetti – explores various aspects of human beings, the cableway and the mountain. 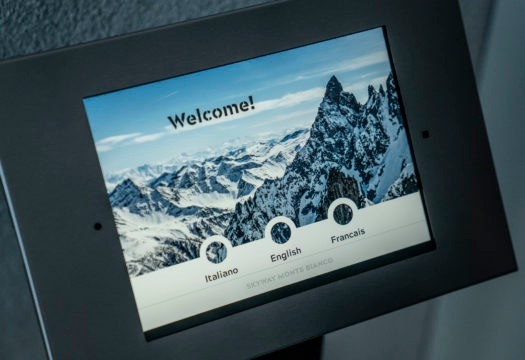 An interactive installation allows visitors to meet the cableway of the present and that of the past. 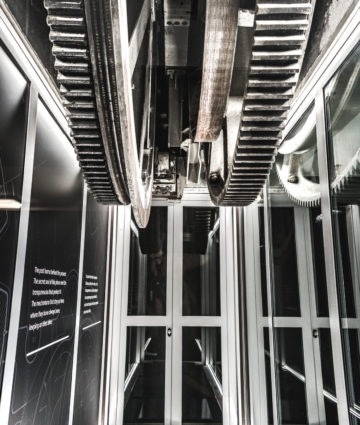 The lower level narrates the history of the first cableway, which was opened in 1947. 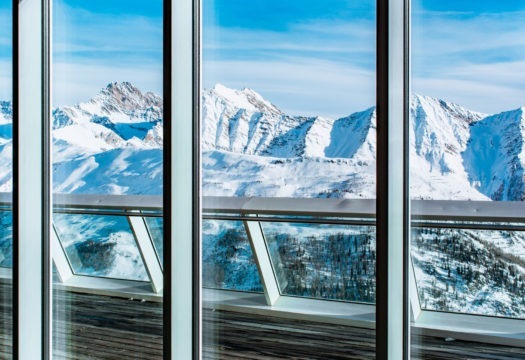 An artwork by Letizia Cariello titled Una scala appesa al cielo evokes the cable that once sustained the cabins of the cableway. 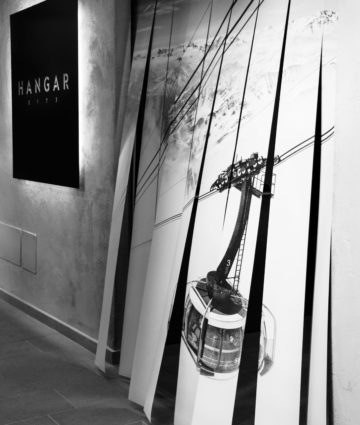 Finally, a silk scarf created by the artist from Val d’Aosta Chicco Margaroli ideally represents the evolution of the cabins hanging on a wire.